The African Methodist Episcopal Church has a unique and glorious history. It was the first major religious denomination in the Western World that had its origin over sociological and theological beliefs and differences. It rejected the negative theological interpretions which rendered persons of African descent second class citizens. Theirs was a theological declaration that God is God all the time and for everybody. The church was born in protest against slavery and dehumanization of African people. Public records show that Mt. Olive AME Church was organized in the latter part of the nineteenth century. In 1905, trustees acting on behalf of the A.M.E. Church Waynesboro made a bid sale of land. On August 30, 1906, the original church building was purchased. The church is a member of the Augusta Conference Wrens-Vidalia District. The Mission of the African Methodist Episcopal Church is to minister to the spiritual, intellectual, physical, emotional, and environmental needs of all people by spreading Christ's liberating gospel through word and deeds. The African Methodist Episcopal Church shall engage in carrying out the spirit of the original Free African Society, out of which the AME Church evolved: that is, to seek out and save the lost, and serve the needy. 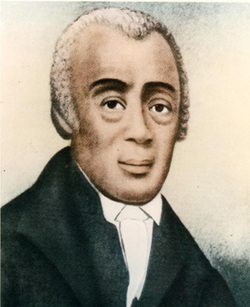 Richard Allen, the founder and first Bishop of the African Methodist Episcopal Church, was born a slave on February 14, 1760 on the estate of Benjamin Chew, Chief Justice of the Commonwealth of Pennsylvania from 1774-1777. Richard Allen, his parents and three other children were sold to a Mr. Stokeley in Delaware, near Dover. Allen recorded that Stokeley was a very tender and humane man who was more like a father to his slaves than a master. As Richard and his brother grew older, they were permitted to attend meetings of the Methodist Society. Allen was converted at the age of 17. He began preaching in 1780. Through thrift and industry, he and his brother worked at night to pay for their freedom. He commenced traveling in 1783 and later returned to Philadelphia and joined the white congregation at St. Georges’s Methodist Episcopal Church. He was licensed to preach in 1784 and was permitted to hold services in the morning about 5 a.m.
As the attendance of colored people at St. George’s increased, the hostile attitudes of the officers and members also increased and on a Sabbath morning in 1787, the sexton met them at the door of the church and sent them to the gallery. One morning, at St. George’s, while prayer was going on Allen heard considerable scuffling and lo-talking. As he raised his head, he saw the trustees pulling Absalom Jones and William White off their knees telling them that they could not kneel there. When prayer was over, the black people, led by Richard Allen and Absalom Jones, withdrew from the St. George’s Church.